For more information about Commencement weekend activities at the University, visit the University Commencement website. Graduation candidates, faculty, staff and guests are invited to attend the School of Professional and Continuing Studies Night, a program and reception honoring the School’s faculty and graduates. This invitation goes out each year to graduating students, and the event recognizes the achievements of those who are graduating. 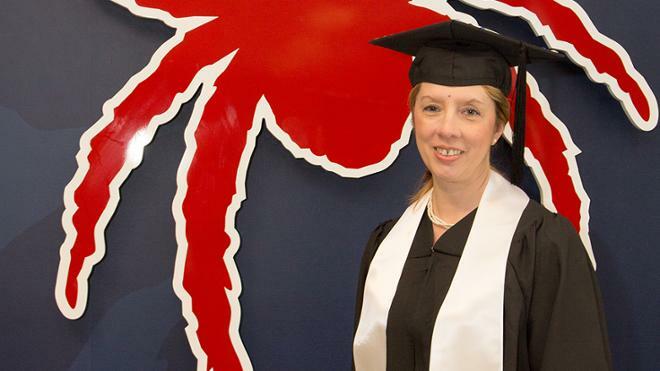 School of Professional and Continuing Studies Commencement Exercises will be held at 9:00 a.m. in the Robins Center on the University of Richmond campus. A reception follows on the Robins Center veranda. Photos from the latest Commencement ceremony are available below. 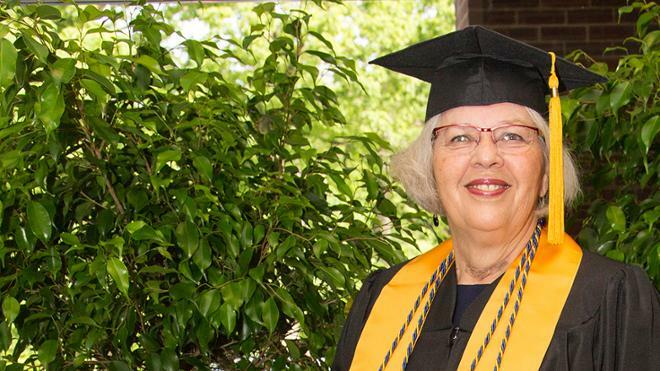 The SPCS Alumni Association sponsors a Commencement Regalia Pickup & Celebration event on Friday, April 26, from 3-7 p.m. Stop in to meet the association board, get your Senior Book photo taken, collect your regalia and celebrate your upcoming graduation! If you’re not able to attend Friday’s event, regalia will be available at the UR Bookstore. 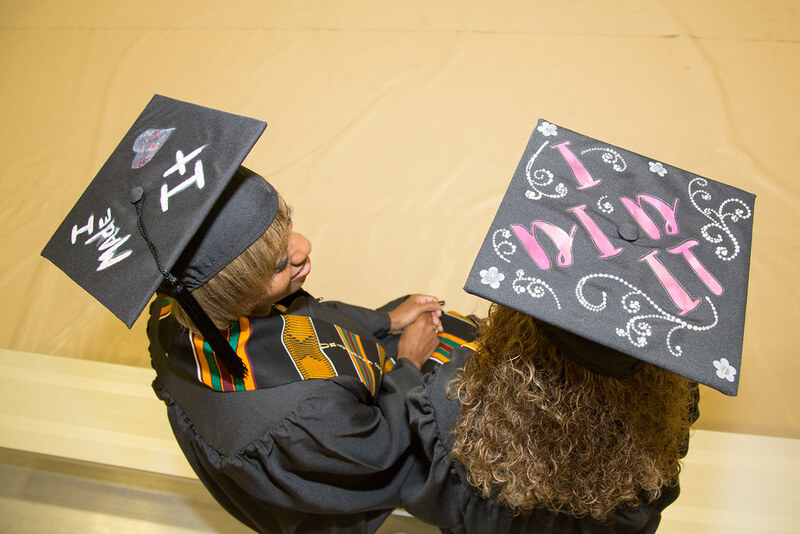 If you do not collect your cap and gown during our Regalia Pickup event or from the UR Bookstore by close of business (6 p.m.) on Thursday prior to Commencement Saturday, please arrive by 7:00 a.m. to collect your cap and gown for the cereremony. University policy requires that graduating students wear the academic regalia appropriate for the degree or certificate being received at the Commencement ceremony. Academic regalia from other institutions of higher education and/or other degrees previously awarded will not be permitted to be worn in the ceremony. Visit the Commencement regalia page for more information. Golden Key members may order their own honor cord to wear at graduation. Visit the Golden Key website to order. During the regalia pickup event, you’ll have an opportunity to have a photo taken for your class senior book. Graduating students will receive Senior Books as digital assets on a keepsake thumb drive. Those who complete a senior book profile will be included in the Senior Book. The graduating class has the opportunity to contribute to SPCS scholarship funds through the annual Commencement class gift. Your gift of $20.19 (or more) in honor of completing this chapter in your life broadens the scope of support SPCS can provide students who need a little extra financial help. You can also contribute during the Graduation Celebration and Regalia Pickup event. The School of Professional and Continuing Studies 2018 Commencement ceremony celebrated the graduation of students earning 11 undergraduate and graduate degrees and certificates. Visit the SPCS Night page for a list of students who earned the honor of participating in Commencement as University Mace bearer, U.S. flag bearer, University flag bearer, SPCS banner bearer, and introducer of the Commencement speaker. The page also lists student and faculty awards that were included in the Commencement program. Kendyl Crawley Crawford was selected as the 2018 student Commencement speaker. Wendell C. Roberts received the 2018 Itzkowitz Family Distinguished Adjunct Faculty Award. Robert Reed, C’13, received the 2018 Gibb Family Distinguished Alumni Award. The School of Professional and Continuing Studies 2017 Commencement ceremony celebrated the graduation of students earning 11 undergraduate and graduate degrees and certificates. Lisa Cheney, C’17, was selected as the 2017 student Commencement speaker. Daniel Hocutt, R’92, G’98, received the 2017 Itzkowitz Family Distinguished Adjunct Faculty Award. Cathy Eagles, C’00, received the 2017 Gibb Family Distinguished Alumni Award. The School of Professional and Continuing Studies 2016 Commencement ceremony celebrated the graduation of students earning 11 undergraduate and graduate degrees and certificates. Robert B. “Ben” Baldwin, C’16, was selected as the 2016 student Commencement speaker. Connie Hill received the 2016 Itzkowitz Family Distinguished Adjunct Faculty Award. Lin Koch, C’03, received the 2016 Gibb Family Distinguished Alumni Award. 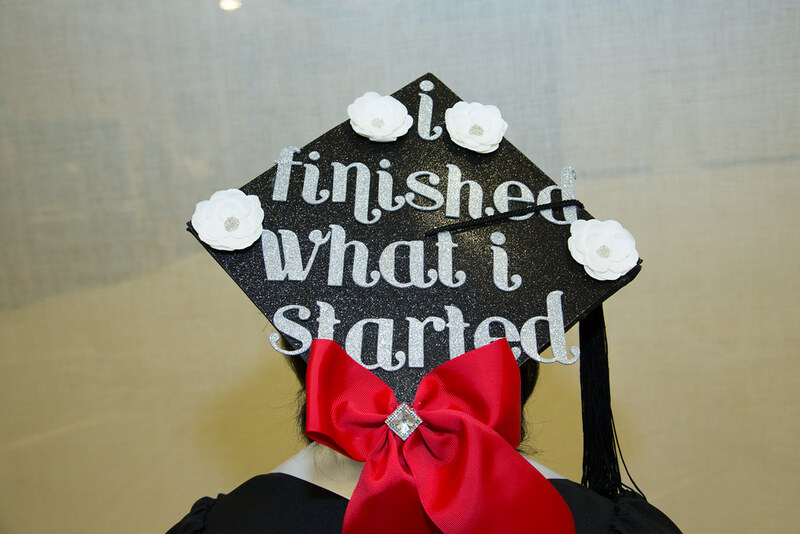 The School of Professional and Continuing Studies 2015 Commencement ceremony celebrated the graduation of students earning 11 undergraduate and graduate degrees and certificates. James L. Narduzzi, SPCS dean, was selected to offer the 2015 Commencement address. Freddie Hornedo, C’14, was selected as the 2015 student Commencement speaker. David Myers received the 2015 Itzkowitz Family Distinguished Adjunt Faculty Award. Vanessa Jones, C’97, L’01, received the 2015 Gibb Family Distinguished Alumni Award. 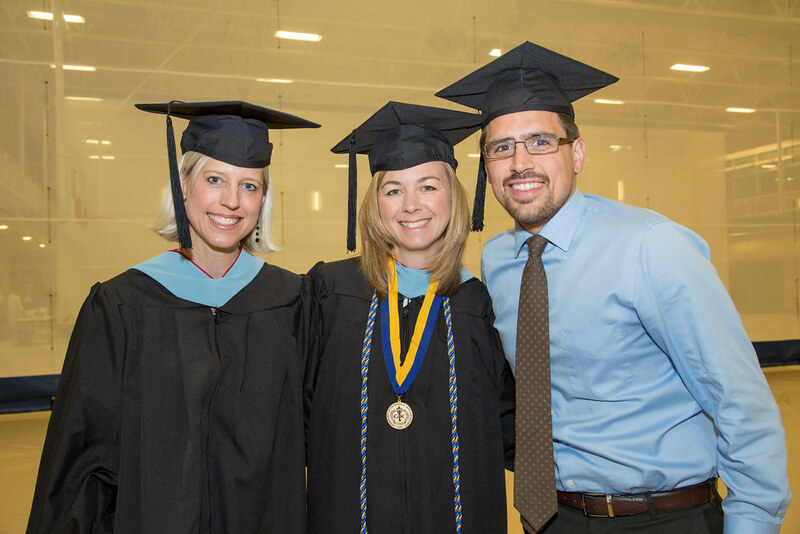 The School of Professional and Continuing Studies 2014 Commencement ceremony celebrated the graduation of students earning 13 undergraduate and graduate degrees and certificates. Ryan J. O’Rourke, C’14, was selected as the 2014 student Commencement speaker. Carrie A. Ludovico received the 2014 Itzkowitz Family Distinguished Faculty Award. 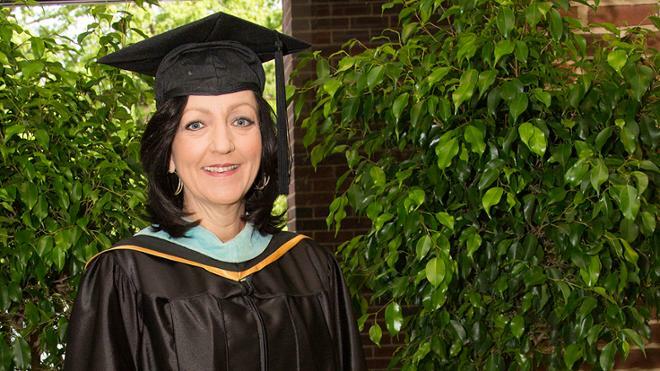 Catherine S. McGehee, GC’11, received the 2014 Gibb Family Distinguished Alumni Award. The School of Professional and Continuing Studies 2013 Commencement ceremony culminated the School’s Fiftieth Anniversary celebration with a special address by Richmond president Dr. Edward L. Ayers. Mark H. Troemel, GC’13, was selected as the 2013 student Commencement speaker. Gerald L. Quirk, GB’74, received the 2013 Itzkowitz Family Distinguished Faculty Award. Thomas W. Winfree, C’77, received the 2013 Gibb Family Distinguished Alumni Award. In addition to these speakers, Dr. Edward L. Ayers, University president, was invited to offer the School’s 50th anniversary commemorative address. The School of Continuing Studies 2012 Commencement ceremony invoked University and School traditions in conferring degrees on graduates. Visit the SCS Night page for a list of students who earned the honor of participating in Commencement as University Mace bearer, U.S. flag bearer, University flag bearer, SCS banner bearer, and introducer of the Commencement speaker. The page also lists student and faculty awards that were included in the Commencement program. 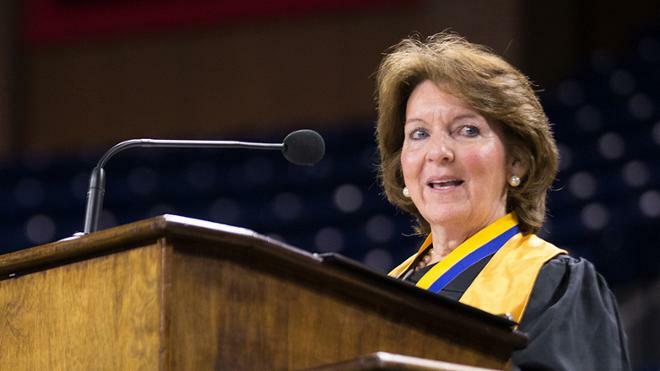 Martha Pittaway, C‘11, was selected as the 2012 student Commencement speaker. Timothy M. Duffee, GB‘02, received the 2012 Itzkowitz Family Distinguished Faculty Award. Patricia Gallagher, C‘97, received the 2012 Gibb Family Distinguished Alumni Award. The School of Continuing Studies 2011 Commencement ceremony invoked University and School traditions in conferring degrees on graduates. Jerry Clemmer, C‘11, was selected as the 2011 student Commencement speaker. Download his address. Cathy Heryewer, C‘00, G‘03, received the 2011 Itzkowitz Family Distinguished Faculty Award. Download her address. Scott Strickler, U‘87, received the 2011 Gibb Family Distinguished Alumni Award. Download his address. The School of Continuing Studies 2010 Commencement ceremony invoked University and School traditions in conferring degrees on graduates. This year’s graduating class of 275 was the largest in School history, reaching back to the School’s establishment in 1972. 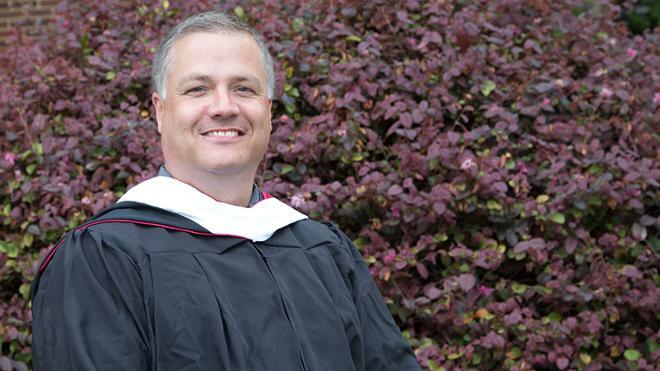 Thomas C. Barth, ’10, was selected as the 2010 student Commencement speaker. Download his address. John A. Zinn III received the 2010 Itzkowitz Family Distinguished Faculty Award. Download his speech. More pictures from Commencement and many more SPCS activities and events are available on our Flickr site. 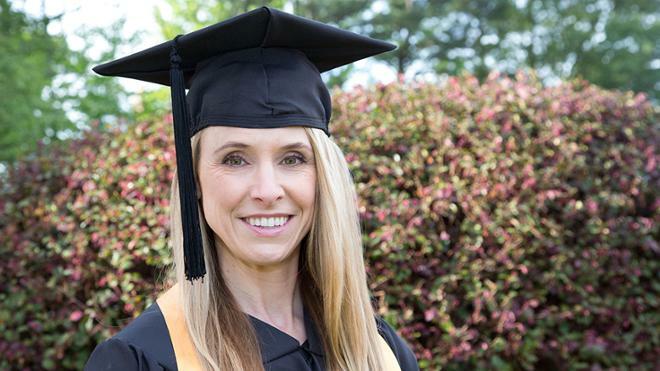 Amy Bernardini, C’16, overcame the challenges of single motherhood and the schedule of full-time employment to complete her Bachelor of Applied Studies in IT Management at the University of Richmond, fulfilling a promise to her daughter to “lead by example” in going back to school. Ben Baldwin, a graduating student who earned a Bachelor of Science in Professional Studies with a major in IT management, was selected among high-achieving graduating students to address graduates at SPCS Commencement Exercises held May 7, 2016. Connie Hill, adjunct instructor of mathematics in the School of Professional and Continuing Studies, was named the 2016 Itzkowitz Family Distinguished Adjunct Faculty Award recipient during SPCS Night, the school’s annual awards and recognition ceremony. Lin Koch, C’03, was named the 2016 Gibb Family Distinguished Alumni Award recipient at the annual School of Professional & Continuing Studies awards ceremony. As award recipient, she shared remarks to the graduates at SPCS Commencement Exercises on May 7, 2016. 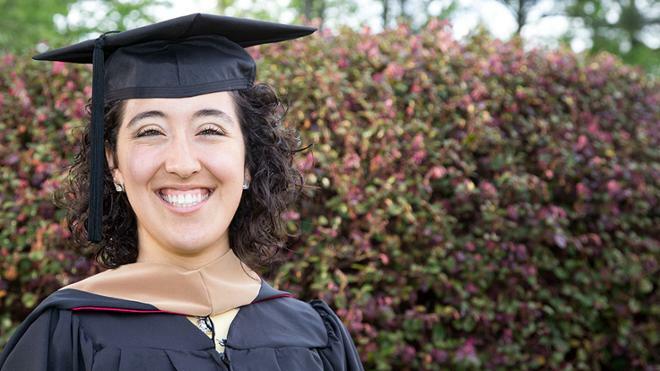 Ask Sara Diaz, GC’16, about her first day of graduate class at the School of Professional and Continuing Studies, and she’ll tell you about what it feels like to face a challenge. But she'll also tell you about networking opportunity and professional success. Dr. David A. Myers, superintendent of New Kent Public Schools, has been named the 2015 Itzkowitz Family Distinguished Adjunct Faculty member for the University of Richmond School of Professional and Continuing Students. 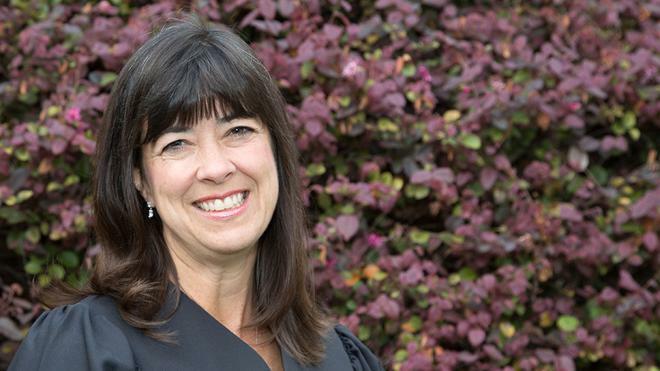 Vanessa Jones, C’97, L’01, juvenile and domestic relations district court judge for the 12th Judicial District of Virginia, has been named the 2015 Gibb Family Distinguished Alumni award recipient for the University of Richmond School of Professional and Continuing Students. 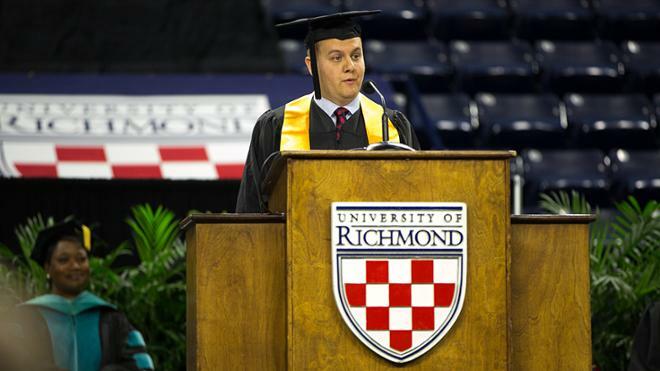 During University of Richmond School of Professional & Continuing Studies Commencement Exercises on May 9, 2015, student speaker Freddie Hornedo, C’14, encouraged his fellow graduates to cherish the “kairotic moment” of graduation. 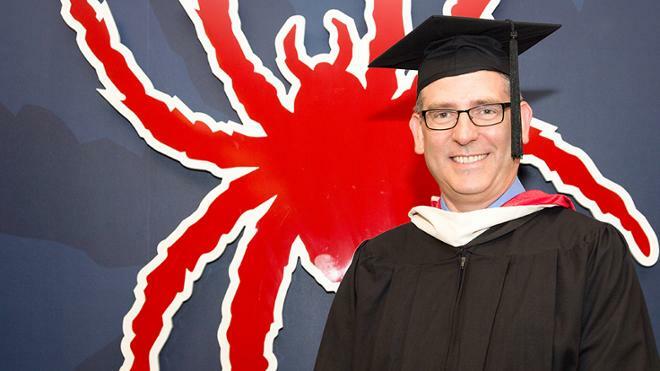 During University of Richmond School of Professional & Continuing Studies Commencement Exercises on May 9, 2015, commencement speaker Dr. James L. Narduzzi, outgoing dean of the school, applauded graduating students for their tenacity and reflected on his pride in their accomplishments.